It's beginning to feel like fall--time to break out the leather jacket! I admit it...I own several leather jackets in a variety of colors and styles. I love the edgy vibe! 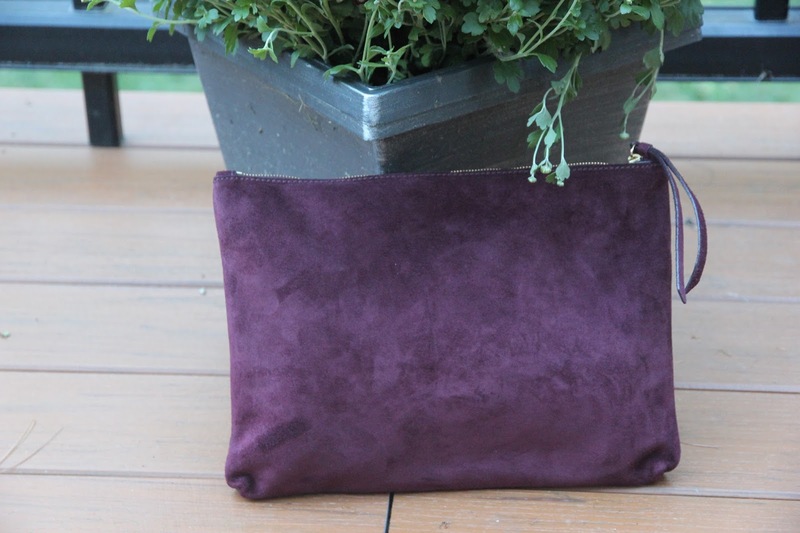 Wearing a Michael Kors black leather jacket, a simple black silky tank (similar here), AG ankle jeans, black wedge pumps and this fabulous burgundy faux croc/suede clutch from Banana Republic. 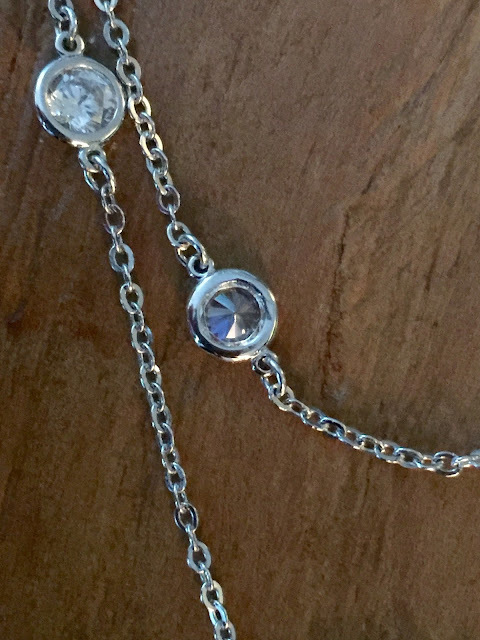 I chose these two CZ necklaces to add a touch of bling to this edgy outfit without being "over-done". The necklaces are from Crislu, a 50 year-old company that makes quality luxury jewelry at affordable prices. What makes this company unique is that they stand behind all of their jewelry with a life-time warranty against manufacturing defects--something even a lot of the high-end lines don't offer! 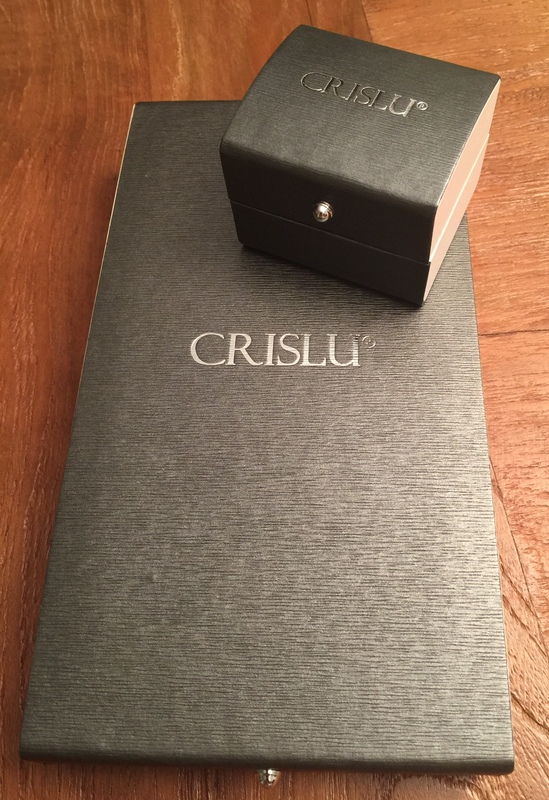 This is how the jewelry came in the mail....even the packaging is beautiful. First let's talk about this simple but elegant pave necklace in pure platinum. 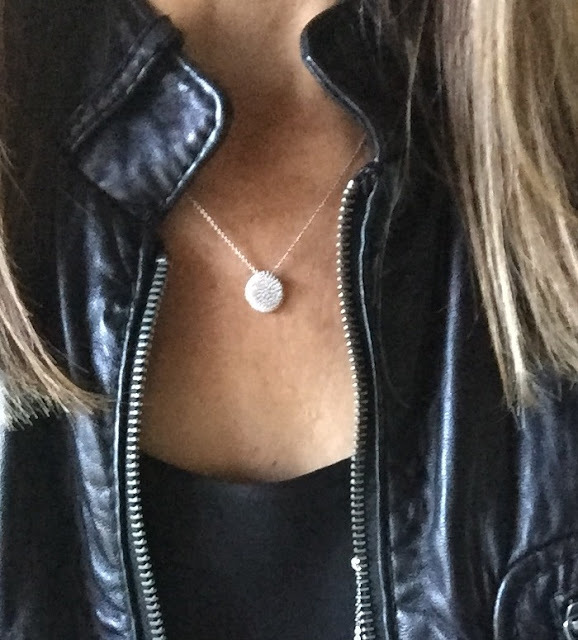 I wear this piece all the time, both solo and layered with other necklaces. The sparkle is incredible, but it only looks expensive. 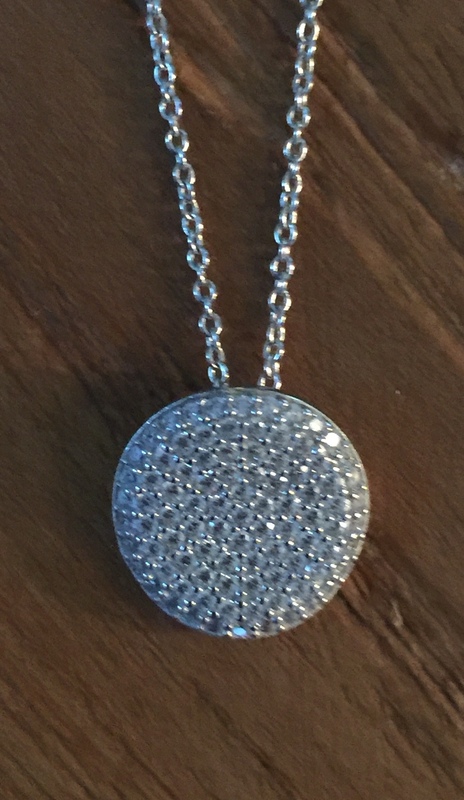 I layered the pave necklace together with Crislu's DBY necklace , also in pure platinum. Gorgeous! Now back to the jacket. If you're not into wearing real leather, here are some faux leather options that are super stylish and very reasonable. HERE HERE and HERE (love!!). Do you own a leather jacket? If so, what's your favorite way to wear it? 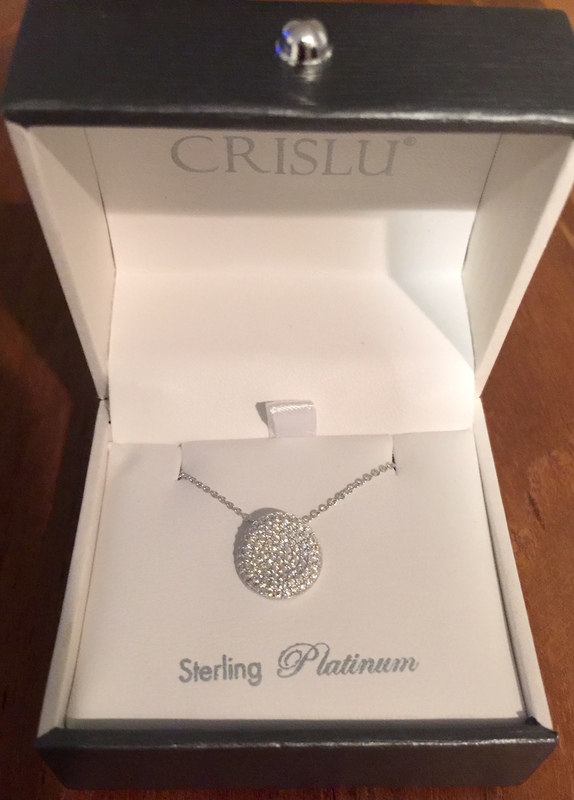 Affiliate links in this post may generate a small commission and some pieces shown are gifted (Crislu Jewelry). However, the content of my posts are based on my own honest opinions and are not in any way influenced by partnerships. I'm loving leather jackets too! Real or faux, the rock & roll look is my jam for certain things. Other times the juxtaposition with something more classic & simple is spot on. I don't have as many as I do jean jackets but I'm ever on the hunt for both!